Twelve dynamic practice sections and list servers: An invaluable practice tool; network by email with over 900 LAJ members in specific areas of practice. LAJ lobbying team represents you and your clients in the Louisiana Legislature. It builds and maintains legislative contacts and relationships year-round. Networking: Access the best and brightest in your profession. Daily email news clips of professional interest. The ultimate CLE experiences scheduled throughout the year and discounted for LAJ members. Reserve free meeting space at LAJ’s headquarters in Baton Rouge. Ample free parking and courteous, supporting staff. Membership Directory: Searchable on-line and published annually. Louisiana Advocates: Membership provides free subscription to monthly magazine with scholarly articles, legal updates, practice-building tips and procedural guidelines. Local and statewide events: Luncheons and social meetings to enjoy knowing other members and judges. Experts and services: database of vendors who provide a range of services for LAJ members. Leadership committees: Multiple opportunities to get involved with LAJ. 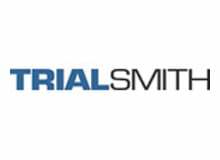 TrialSmith: Subscribe to search over 250,000 on-line documents through the largest deposition bank in the nation for plaintiff attorneys. Webinars: Online seminars for CLE. Professional enhancement with convenience. Find the topic that instructs on your needs, regardless of your need for credits. New Lawyers Division: Allows connections with other new attorneys for insight and perspective. Mentoring List Server: Gives members who have been in the Louisiana bar for five years or less and an LAJ member for three years or less the opportunity to ask questions of other volunteer members who want to nurture and coach new attorneys. Women’s Caucus: Raises the profile of women trial attorneys and aids in community service. Minority Caucus: Works to identify and promote diversity and participation in the association. Our Paralegal/Legal Assistant Division, with its own list server, provides 24/7 access to other law office professionals for seeking and sharing tips, forms and information. Sign your support staff up for membership today. Amicus Curiae briefs filed in precedent-setting cases. Conference calling at a discount: Premiere Global Services. I want to join LAJ.